Excellent example presented in the stunning Alpine White, this Ibiza benefits from desirable options such as sat nav, bluetooth, cruise control and ice cold working air conditioning, the wheels are virtually unmarked, its only two owners have clearly cherished this example that is in super condition throughout, the bright wheels are wrapped in tyres that have good levels of tread remaining and the small yet punchy 1.2 engine delivers amazing miles per gallon as well as costing just £30 a year to tax. You can stream music wirelessly via the bluetooth audio system as well as being able to easily control the music system via the buttons mounted on the steering wheel. The FR emblazoned, red stitched steering wheel is a nice touch in what is a really attractive cabin area, the sports seats are extremely comfortable as well as being very supportive. The drivers seat is height adjustable, as is the steering wheel to allow you to find the ultimate driving position. 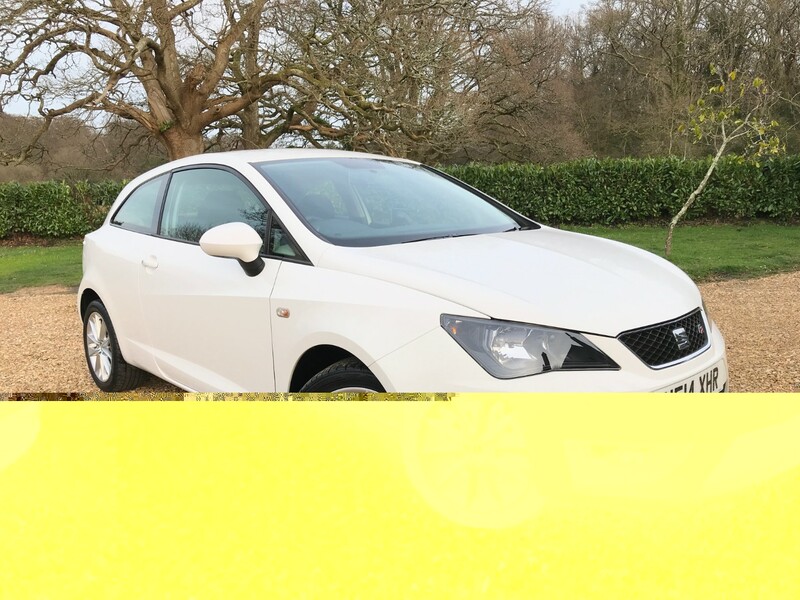 We have just serviced this Ibiza and have ensured it has a long MOT to March 2020 with NO advisories. There is a walkaround video, shot in HD via YouTube that is viewable on this advert. Supply us with your drivers license in order to test drive the SEAT and viewings are available by appointment 7 days a week at hours to suit you, accepted methods of payment are GBP or a cleared bank transfer, sorry, we do not accept offers, we offer finance and part exchange with a decision usually within 30 minutes, you are able to reserve this Ibiza from as little as £100, we can deliver this Ibiza to your work or home NEXT DAY, please watch the HD YouTube video before enquiring and read our excellent 95 plus reviews.